Charles Leiper Grigg was born on May 11, 1868, in Price’s Branch, Missouri. He moved to St. Louis when he was 22-years-old and started working in advertising and sales for soft drink companies. He invented his first soft drink called “Whistle” while he was working for a manufacturing company owned by Vess Jones, but after a conflict with the management, he left the company. 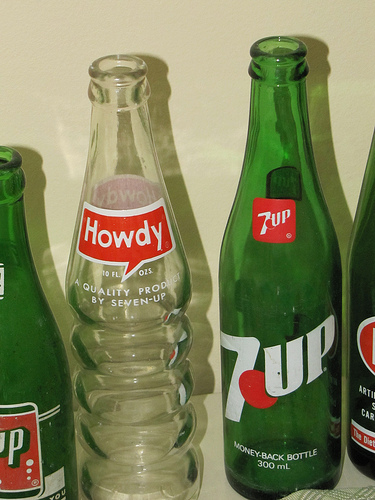 He found a job at a new soft drink manufacturer where he invented another orange-flavored drink called “Howdy.” He went on to form the Howdy Company together with financier Edmund G. Ridgway, and lawyer Frank Gladney. At the time, Orange Crush dominated the market for orange sodas, so Grigg decided to focus on lemon-lime flavors and came up with the formula for a lemon-lime soft drink in 1929. After he spent two years testing many different formulas, Grigg invented a new drink called, “Bib-Label Lithiated Lemon-Lime Sodas.” It hit stores just two weeks before the 1929 stock market crash. There were around 600 other lemon-lime sodas, but the new drink actually sold pretty well. “Bib-Label Lithiated Lemon-Lime Sodas” contained the compound lithium citrate, a mood-stabilizing drug, used in various patent medicines at the time. Grigg claimed that the Lithia ingredient in the soda could affect the drinker’s moods. Lithium citrate has been used for many decades for psychiatric treatment of manic states and bipolar disorder and as a supposed cure for hangovers at the time. In 1871, William Hammond, professor of Diseases of the Mind and Nervous System at the Bellevue Hospital Medical College in New York, became the first physician to prescribe lithium for mania; in 1894, Danish psychiatrist Frederik Lange made explicit reference to lithium in the treatment of melancholic depression. 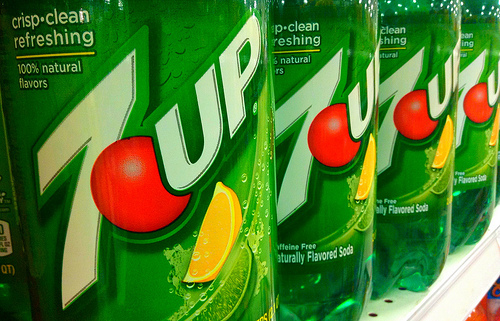 Grigg shortened the name to “7-Up Lithiated Lemon-Lime” and eventually just called it 7-Up. 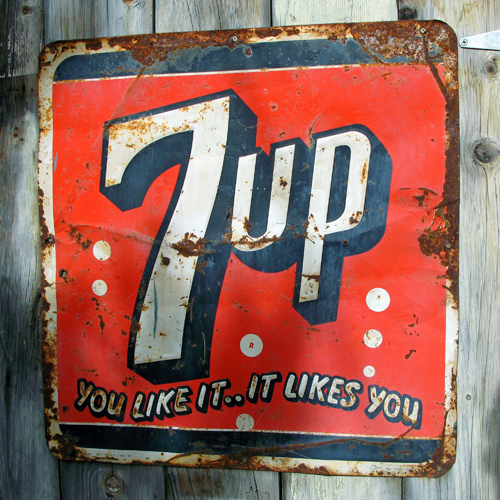 He changed the name of his company from “Howdy” to “The Seven Up Corporation” and by the 1940s, 7-Up was the third best-selling soft drink in the world. 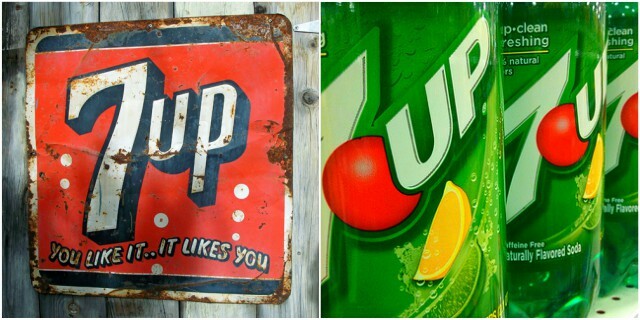 The government banned the use of Lithium citrate in soft drinks in 1948 and it was removed from 7-Up. Grigg died on April 16, 1940, and his son took command of the company.